3rd SHOTEN Goju-Ryu Karate State Championship 2018 was conducted in Salem on 11-Feb-2018. More than 250 kids from all over Tamil Nadu participated in the event. Individual Kata, Individual Kumite (Fighting-Combat) & Team Kata were the event categories conducted for various Age Groups. 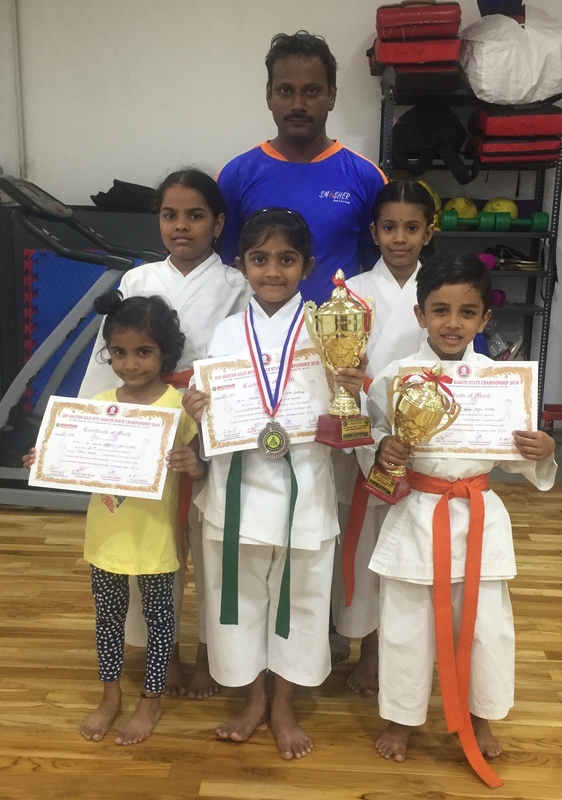 Neya & Sri Hari from Smasher Sports Academy won medals in the Under 7 category for Kata, Kumite & Team Kata. Congrats to all the participants and winner. Special thanks & appreciation to Karate Master – Sensi Mohan.